Talvisota -The Winter War is the second movie in the war movie watchalong. 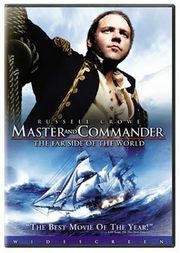 Unlike Master & Commander I hadn’t seen this one before and it is possible that I will dedicate another review to it as it has very interesting elements and I’m not sure to cover them all in answering the questions below. Talvisota that is based on Antti Tuuri’s eponymous novel, shows the short but intense war that Russia and Finland fought at the beginning of WWII. It started at the end of 1939 and lasted until March 1940. The movie is a very realistic and unemotional epic of over 3 hours. More about the Winter War can be found here. It seesm this was the only important movie of fim director Pekka Parikka. Parikka was born during the Winter War. It’s sad to know that he committed suicide in 1997. This was one of the grittier war movies I have watched so far. Gritty and bleak. It’s a very surprising movie, surprising because it didn’t go the way most Hollywood productions go and also because I wasn’t familiar with the war as such. At times it didn’t feel like watching a WWII movie but a WWI film as most of the fighting took place in the trenches. Watching it was similar to watching Battle of Britain. Both movies are excellent and give a great impression of the historical facts they cover but they are closer to documentary than movies as they hardly tell a story outside of the war itself. Talvisota is often compared to Stalingrad, do you think that is justified? I have it seen compared to Stalingrad but I cannot see any similarities besides the fact that both are set in winter. I also think it does Talvisota a disservice to compare it to Stalingrad. If I hadn’t expected something more similar I would have appreciated it much more but Stalingrad is and will always be one of my top 5 and it’s hard to compete with that. The aim of the director wasn’t to pick a few remarkable individuals and tell their story but to tell the story of his people. That’s why there is really only Mattri and his brother who did stand out for me. Their story is exemplary for many others but during the fighting almost all of them are given the same amount of camera time. Do you identify with any particular side or character? Why? I cannot say I identified but I rooted for the Finns. This was such a David & Goliath situation, such an unjustified and brutal act by the Russians and it was amazing to see how couragoeus and un-emotional they fought this enemy that was so much stronger in numbers. How is the enemy represented? Are they stereotyped? Demonized? I saw them like a dark and malevolent mass. Their rows where never-ending. No matter how many the Finns shot down, there were more and more coming. The individual Russians are not shown and it’s also obvious that the Finns blamed Stalin and not the people as such but still, they felt negative. Does the film present violence as the only way to solve problems? I would say, yes, indeed, it does. There is no diplomacy or talking. The Russian’s attack was a suprise attack and could have ended like it did in Poland. What hardships do the soldiers have to overcome? The hardships are maybe the only real parallel I see with Stalingrad. The war took place in winter, it was cold and snow-covered the whole time. Maybe it wasn’t as hard on the Finns as on the Germans, as they were probably used to that kind of temperature. During most of the war they were trapped in trenches, in the dark and the cold. It must have been very strenuous. Add dirt and hunger to that and you get the picture. The combat looked quite realistic but the explosions were overdone and the blood looked very artificial. Maybe that was a choice, maybe it wasn’t. In any case it’s one of the grittier movies I’ve seen. Some of the wounds were very gruesome and one of the main characters dies a death like I haven’t seen before. It could very well figure on a list of most gruesome deaths and wounds. Is the movie solidly anti-war? Despite the fact that the Finns were heroic, this isn’t an uplifting tale at all. This is one of the purest anti-war films I have ever seen. How does it compare to movies like Saving Private Ryan and The Thin Red Line? I don’t think it can be compared to any of the two. It’s much less character driven. It’s more documentary style, as I said before. This tiny country was able to defend itself against the huge number of Russians that were constantly attacking and shelling them. As such, it was satisfying but I think there should have been some additional information before the final credits, stating how many people died, and what became of Finland and Russia after this war. I am very glad I watched it and I’m sure, if I hadn’t expected it to be more like Stalingrad I would have liked it better. Still I think it’s a very importnat movie and one that should be better known. These are the questions for movie 2 Talvisota -The Winter War which is part of the double watch along of two movies. Here are the questions should you want to participate. This time most of the questions have been contributed by Kevin from The War Movie Buff. You do not need to answer these questions, you can also just post a review on the movie, participate in the discussion and link to my site. I’ll add the review to my post. Tha date for the watchalong is Thursday 29 December 2011.